Give your children a summer to remember by signing them up for summer camps in your county parks. Park System camps offer beautiful park settings, low staff to camper ratio, enthusiastic and knowledgeable staff, an emphasis on safety, inclusion services and supports, and a variety of scheduling options. The highlight of any child’s summer vacation, these camps feature everything you’d want - games, crafts and nature activities. 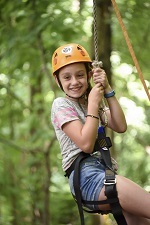 Some Park System camps allow children to focus on a particular sport or interest such as Life in the Garden, Dodgeball Camp and Eco-Survival Camp for Teens. Can’t choose? You don ’t have to. Most Park System camps last a week, allowing children to register for multiple camps and experience new activities throughout the summer. Half-day, full-day, and overnight camps are offered. We also offer lunchtime flex care at Dorbrook Recreation Area and before and after care (see Daily AM Flex Care and PM Flex Care options and Weekly AM Flex Care and PM Flex Care options ) at the Fort Monmouth Recreation Center. The Fort Monmouth Recreation Center has also added a full day, full summer option. While Dorbrook Recreation Area and Fort Monmouth Recreation Area are known for their summer camp offerings, the Park System offers camps throughout the county. 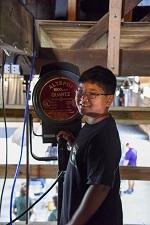 The Park System also offers sports camps at St. John Vianney High School, Holmdel and a Circus Skills Camp at the New Jersey Circus Center, Morganville. 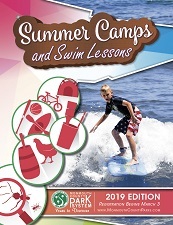 You can view the Park System’s 2019 Summer Camp/Swim issue online. Online 24/7 beginning at 12 p.m. on Sunday, March 3. By phone at 732-842-4000, ext. 1, from 12-2 p.m. on Sunday, March 3 and then resuming Monday-Friday from 8 a.m.-4:30 p.m. In person beginning Monday, March 4, Monday-Friday from 8 a.m.-4:30 p.m.
By mail using the registration form located within the Summer Camp & Swim Lesson Parks & Programs Guide. After registering, be sure to visit the Summer Camp Forms page for the Camp Form Packet, what-to-bring-lists, and more. “My daughter Julianna loved Pine Seedlings. I wish that you would run it for the entire season. She couldn't wait to get there every morning. She loved her counselors.” - T. T.
“My son did the hat trick hockey camp last week July 5-8 with Cory. Thought it was a great program and Cory is extremely patient with the kids and a great coach!! !” - T.B. 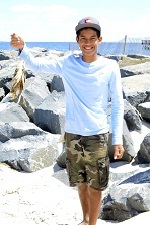 “My son Logan had the time of his life this week. Even with the brutally hot days, he still wished that he could do flag football for the rest of the summer! The main reason for such a great week was truly the incredible counselors…” - S.B. 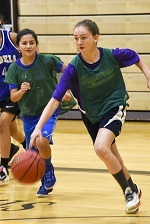 “I had so much fun and I was glad I came to this camp! Thanks to you I will always remember this amazing experience.” – R.G.